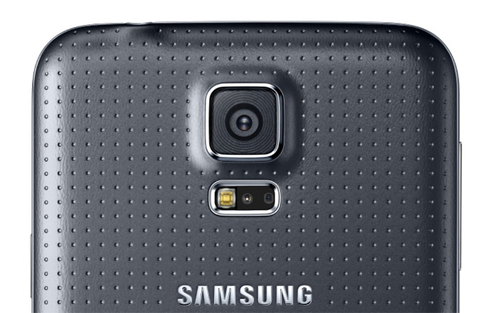 There are five common Galaxy S5 camera problems addressed in this post. Get to know what they are and how to fix them. The Samsung Galaxy S5 has an impressive camera with many filters and effects. In fact, it is one of the things that is given emphasis in the phone's advertising campaigns. But some owners were met with disappointment when they found out their units had manufacturing defects. The company assured the owners that their devices will be replaced with a new one. There are, however, camera problems that weren't caused by any defect. In fact, I cited five problems in this post based on emails I received from my readers. I may have missed something a problem or two so if you encountered problems that weren't included in this short list, feel free to let me know. You can email me at harold@droidista.com or join the Smartphone Support community I recently created. The Samsung Galaxy S5 is water-proof but it doesn't mean water can't really get into it. Every owner is aware of the device's IP67 certification but I know several owners who complained water has gotten into their phone. It actually matters how the owner takes care of the phone and make sure it's airtight. I received a couple of emails from my readers saying the picture captured by their S5's are foggy. One of them even said that there is a few droplets of liquid inside the camera. Well, it's apparently the liquid that has gotten into the phone that obscures the focus of the camera sensor. In this case, I suggest you bring the phone to an authorized Samsung mobile technician and have it cleaned up. The water found a way to get into the device; you're lucky it only obscured the camera and not damage any of the components. This is actually a common issue with many Android devices especially in mid-range to entry-level categories. It has something to do with the availability of RAM, storage, and status of the micro SD card mounted on the phone. When there are too many apps running, there is a possibility that the camera app will crash especially when there are other applications that also use the camera. About the shortage in storage, more often you will be prompted that your phone is running out of storage space and that you need to delete some files or uninstall some apps. But there are times when the camera app just crashes without any sort of warning. If this happens to you, then it's worth checking the storage. If you set your Galaxy S5 to save photos and videos directly to the SD card and it fails, the camera app will crash. The first time it happens, physically unmount the SD card and let your laptop read from it, then backup all your files and data if possible. Once finished, mount the SD card back and find out if the phone could read from it. If not, then reformat it using your laptop using the FAT32 format. Lastly, if the problem persists, it's time you considered buying a new SD card. There were some units that may have manufacturing defect so I suggest you call Samsung immediately if you got the 'Camera Failed' error. The company's representatives will help you determine if your device is one of the units with defects out of the box. If that was the case, you will surely receive a replacement unit. Otherwise, you will be told what to do to fix this problem. The 'Camera Failed' problem may actually be caused by either hardware or software issue. If your phone isn't one of those faulty units, then it is recommended you perform factory reset first. If there's an update available, download and install it as it may contain bug fixes. If the problem remained, then it could be a hardware issue and you need to have a tech take a look at your phone. This problem is actually caused by the Camera app that crashed but the hardware is left running. More often, it happens after updates or after long period of use. Clearing the app's cache and data will fix it, or sometimes a reboot helps. If clearing the cache and data wouldn't work, boot the phone to safe mode and observe while it's in that state if the camera will still display blank screen. If so, then send the phone in for repair, otherwise, factory reset will do the trick. This is a bit tricky but one way to know if it's really the camera that has problems is to take a picture with those lines and spots visible. Then, download the picture to your computer and view it using your computer's picture viewer. If the lines or spots are still there even when they are viewed from different device, then your sensor may have a problem. Otherwise, the issue with the photo viewer in your phone or the display itself. To know if the problem is with the viewer, upload the picture online and view it using a browser. If the lines are still there and if they appear in the same spot even if you zoom in or out, the problem isn't with the viewer but with your phone's display. You better have it checked as soon as possible. Screen problems caused by apps or firmware can easily be fixed. However, problems with the hardware often require expert hands to fix them. If you got some questions, feel free to email me at harold@droidista.com. Thanks for reading.